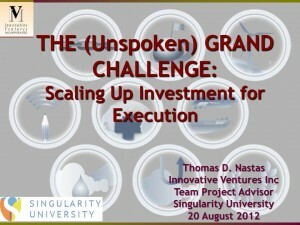 Governments, development banks and investors poured billions of dollars to finance entrepreneurs in the ‘Valley of Death.’ Add in the millions of hours of human energy and thought devoted to creating solutions too, and the investment is truly staggering. Yet the Valley of Death still exists. Conventional thought defines the Valley of Death as a market failure. But is it? 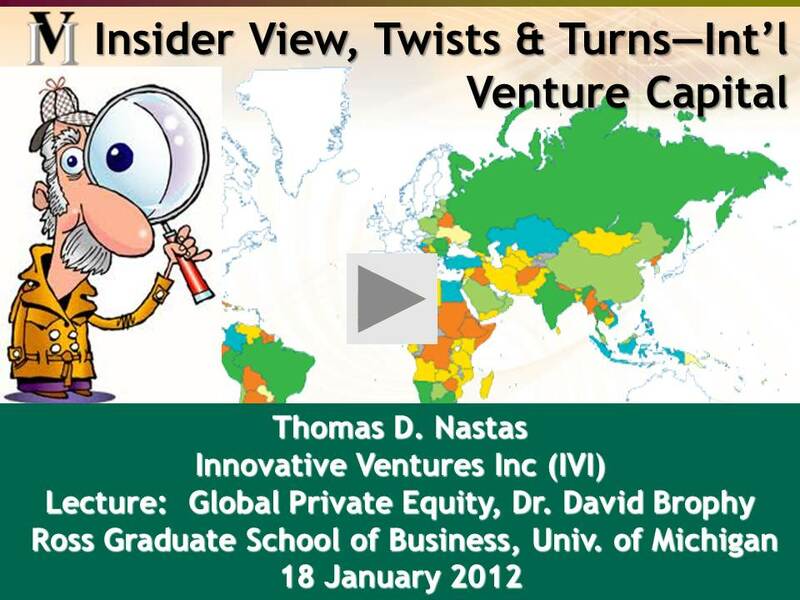 Or is the Valley simply the rational behavior of investors to risk? If the Valley is a reaction to risk and not a market failure, then perhaps we need to reframe the discussion: what initiatives might influence investor behavior to close the gap that separates entrepreneurs and investment in this critical stage of SME development? 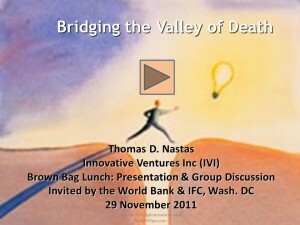 I delivered a program at the invitation of the World Bank and its investment arm, the International Finance Corporation, titled ‘Bridging the Valley of Death.’ In it I discuss solutions that match the behavior of investors to risk and encourage investment to early stage tech SMEs in the Valley of Death. 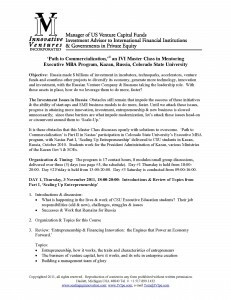 ‘Path to Commercialization,’ an IVI Master Class in Mentoring. 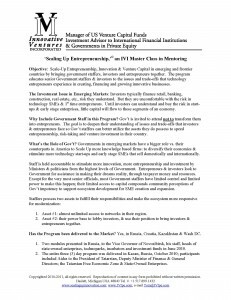 ‘Scaling Up Entrepreneurship,’ an IVI Master Class in Mentoring.